If you enjoy ghost stories and things that go bump in the night, these are five places that will definitely make you nervous. Anyone interested in ghosts and goblins and things that go bump in the night will appreciate the following five haunted locations around the world. All are readily visitable and spooky to boot. Probably all the legends should be taken with a great big pinch of salt, but it would be fun to visit anyway. 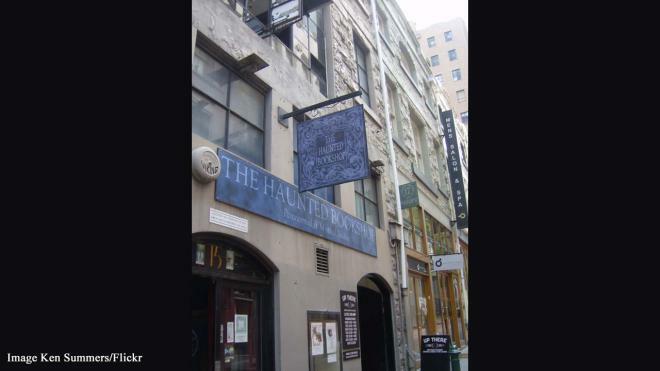 We head to Australia to visit The Haunted Bookshop, avoid touching a haunted pillar in Augusta, USA, stay in a guest house where the devil got married, stroll on Haunted Lane or visit Halcyon House, considered to be the most haunted in Washington, DC. Happy haunted travels! While the bookshop itself isn’t haunted, it is full of obscure and occult books on topics such as witchcraft, magic, Satanism, tarot, vampires, ghosts and aliens. Also the owner of the shop, Drew Sinton, is the host of “Haunted Australia” on Foxtel TV and has been organising ghost tours in Melbourne for 20 years. He has also researched ghosts in Australia for more than 30 years. A farmer’s market once stood here in the 1800s. Legend says a street preacher, who had been banned from preaching in front of the market, swore the building would one day be destroyed by great winds. This would leave only one pillar standing. To make things eerier, he said anyone that touched the pillar would die. As it happened the market was, indeed, destroyed by a tornado, leaving nothing but the pillar. 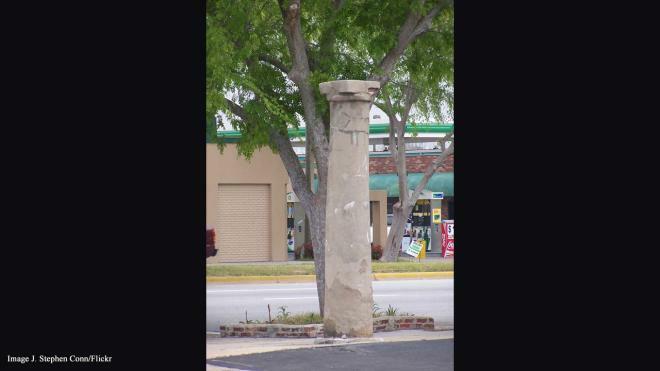 The pillar was destroyed in December 2016 by a car crash, but it will be rebuilt.